More cat-like behaviors in future episodes? 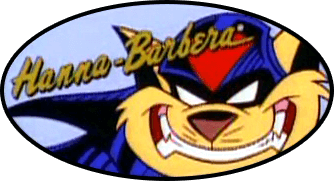 Remember that episode where Razor hacked up a hairball? It was a gag(!) 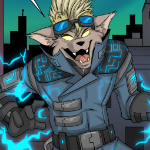 that poked fun at the fact that the characters are cats. More stereotypically cat-like behavior could be appropriate in future episodes. How about some of the following ideas? -One of the characters could have a bed that looks like a notebook computer. -At least one character could, when he or she is not satisfied with their coffee, simply knock the cup over. -The characters could bite whenever someone tries to rub their bellies. -During say, a holiday-themed episode, one of the characters could receive an expensive gift and only be interested in the box it came in. Any other ideas come to mind? I'm sure there are plenty of things that could work! Last edited by Mikazo on Tue Dec 06, 2016 1:07 am, edited 1 time in total. Re: More cat-like behaviors in future episodes? Well, we did see Katscratch playing with a catnip ball in The Metallikats. Last edited by Kooshmeister on Wed Dec 07, 2016 9:29 am, edited 1 time in total. Mikazo wrote: Remember that episode where Razor hacked up a hairball? It was a gag(!) that poked fun at the fact that the characters are cats. They may still habitually lick themselves, nonetheless. Yeah, it would be funny to see. Who doesn't want to see Manx looking at his city while sitting on the window of his office? (and scare him then ok, i'm a bad person ᶘ TᴥTᶅ) Or a new villain that kidnaps kats by attracting them with c(k)atnip to a box? Mikazo wrote: -At least one character could, when he or she is not satisfied with their coffee, simply knock the cup over. In SWAT Kat based RPG's there has been some players that have their kat character buy milk at a bar, instead of alcohol. So does that mean that they can only drink milk at age 21 and up? how does one get drunk from milk? I'm not sure LOL... maybe they were White Russians? I never played my characters that way XD They drank alcohol at a bar.